February is here and there are several new printable coupons for this month. 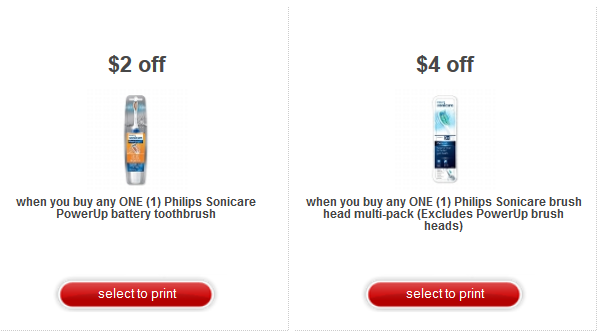 So if your planning on purchasing a electric toothbrush you’ll definetly want to check out the the three printable coupons and 4 manufacture coupons I’ve posted below for the Philips Sonicare toothbrush. It’s the second last coupon in this section so it may be removed shortly. So print it fast! These are not printable coupons pick up a local Sunday paper to find this Smartsouce flyer or you can visit their site to sign up to receive them by mail. That’s everything I’ve found so far this month! 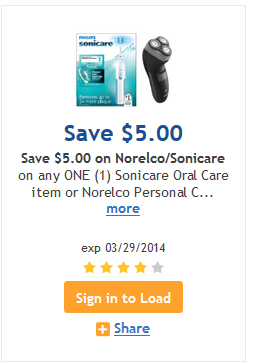 This entry was posted in Philips Sonicare Coupons and tagged 2014, coupon, diamondclean, February, flexcare, printable coupon.